1. Check the condition of each department of equipment; the electrical and mechanical departments are in good condition; spare parts are complete and tight; lubrication parts are well lubricated. 2. Check that the electronic control system is in good condition, the control switch, cable and control button are in good condition, the cable is not exposed, no damage, no foreign matter is inserted, etc. The electronic control equipment is put on the shelf, clean and well grounded, and the handle is flexible. 3. Check the fixing of the anchor bolts, the fixing bolts are not loose, and the nuts are not missing. 1. Turn the control switch handle to the forward rotation position of the motor, press the start button, the switch is closed, and the motor starts. 2. Observe the operation, no abnormal noise, no vibration, and normal operation after running smoothly. 3. After normal operation, it can be put into operation. 4. Before starting the equipment, it must be ensured that the transport equipment of the loading port has started normally. 1. The coal should be evenly distributed during use, and should not be overloaded and have a large impact. 2. 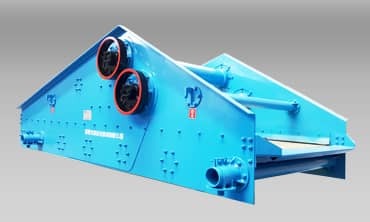 Closely observe the operation of the equipment during the operation, there is abnormal noise, abnormal vibration or other conditions must be immediately stopped for inspection, and can be put into use again after the hidden dangers are excluded from the trial operation. 3. Observe the vibration condition at any time during the process of use. The discharge port should not be blocked. Observe the condition of raw coal screening. If it does not meet the quality requirements, it must be disposed of. 4. Pay close attention to the operation of the transport equipment under the feeding port during the use process. Immediately notify the starter or stop the coal feeder belt and vibrating screen after the equipment is stopped. 1. Press the stop button to stop the motor, and press the control switch to the stop position. 2. The normal stop shall be stopped after the feeding belt stops. It can be shut down immediately in case of emergency. Normal start: Start the bell for the unloading transport system. After the transport system is running normally, start the circular vibrating screen. After the circular vibrating screen is running normally, give the coal belt a start bell and give it a normal operation. Normal stop: firstly, the coal belt is issued to stop the bell. After the coal belt is stopped, the coal is stopped. After the round vibrating screen is filled, the vibrating screen is stopped. The feeding system is stopped. In case of special circumstances, the machine can be stopped immediately.